Yesterday morning (Manila time), President Trump tweeted this and more than a hundred thousand people have liked it, with 46k retweets and replies. Yes, free trade, zero tariff, zero subsidies. No more excuses and "provided that..." please. Many EU companies actually are ready for a zero tariff deal with the US, it is only the EU bureaucracy that seems averse to real free trade. Below, first 2 news reports last July 4, next 2 news reports last July 5, the last report dated July 24. 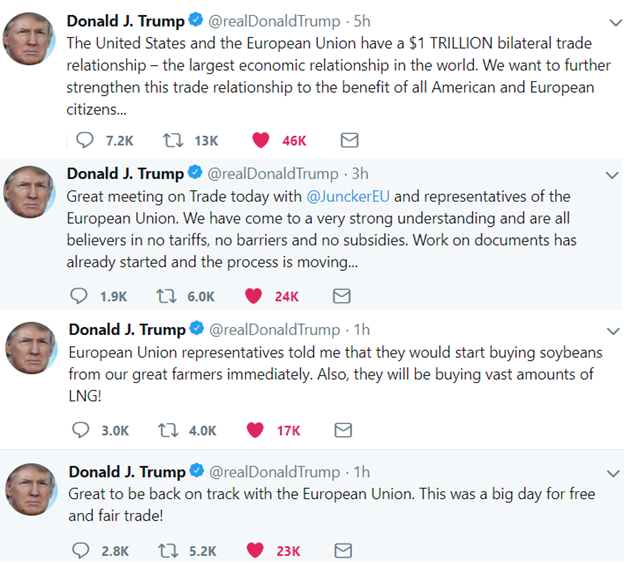 “The two leaders agreed to expand European imports of U.S. liquified natural gas and soybeans and lower industrial tariffs on both sides, Trump said. 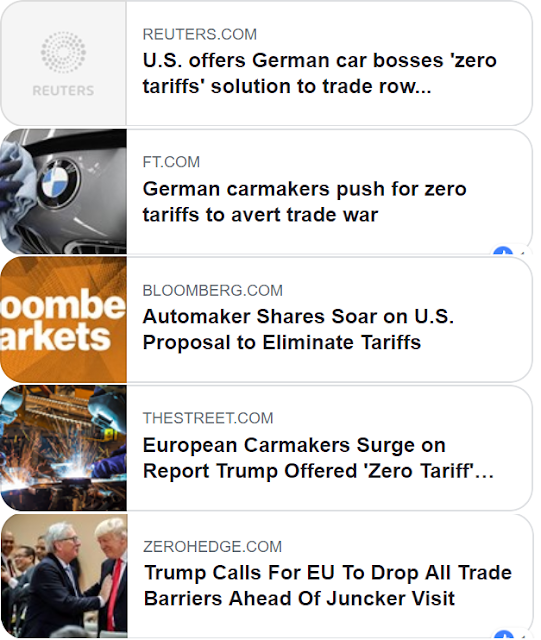 The U.S. and European Union will “hold off on other tariffs” while negotiations proceed, Juncker added. Good news for consumers and producers in the US and EU, and good news for the world. We should aim for that free trade, high consumer freedom society.